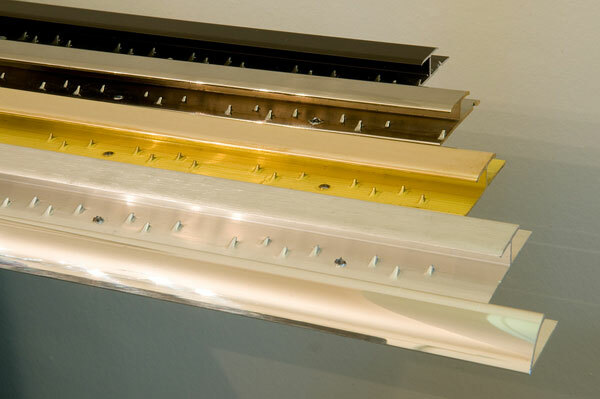 We supply a full range of thresholds (also known as tread plates or nap locks). Thresholds are a smart, stylish way to add the finishing touch to your quality floor covering of any style. Our wooden thresholds are produced in selected woods and are available in many different finishes with a classic range of inlays to choose from. Thresholds are also available in metal finishes designed with durability and visual appeal. They are available in brass, chrome, pewter and a selection of special finishes to complement other light / plug fittings that are around your home or office.